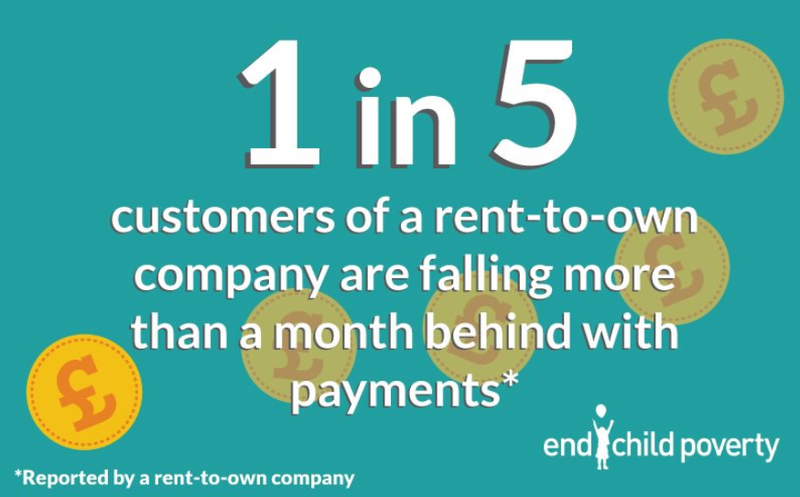 This report from the End Child Poverty coalition and StepChange investigates the experiences of low income households with little choice but to cover the costs of basic household goods through high cost rent-to-own companies like BrightHouse. The rent-to-own sector has come under the spotlight recently as part of the Financial Conduct Authority’s High Cost Credit review. Their report comes at a crucial time, with Members across both Houses of Parliament raising concerns about how to tackle irresponsible lending practices and high levels of consumer debt. End Child Poverty brings together a coalition of nearly 100 UK civil society organisations to call for tighter regulation of the sector and for alternative sources of credit. We hope you will be able to join us for this important and timely discussion.